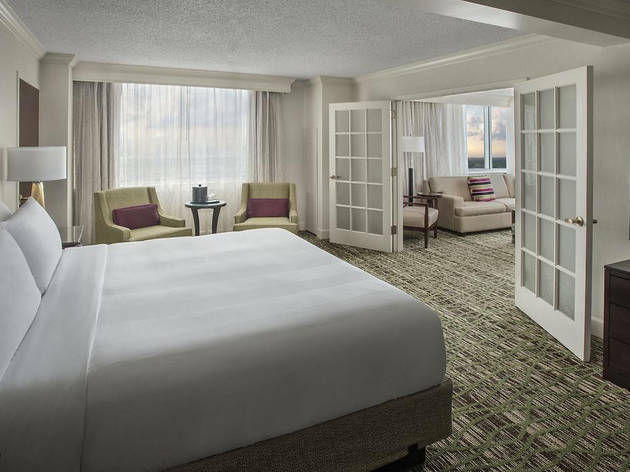 This Marriott is directly connected to the Philadelphia International Airport and offers a free shuttle service. The City Hall is 17 km away. 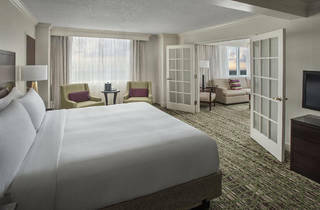 Guest rooms at the Philadelphia Airport Marriott are furnished with a lounge chair and a work desk. Cable TV with HBO and pay-per-view movies and a coffee maker are included. Marriott Philadelphia Airport provides free access to the gym. A full-service business center and a concierge desk are available for added convenience. The Aviation Grill offers upscale American cuisine in a casual atmosphere. The restaurant is open all day and drinks are available every night. Penrose Plaza Shopping Center is 4.8 km from the Airport Philadelphia Marriott hotel. The Liberty Bell and Pennsylvania Convention Center are 17.8 km from this property.